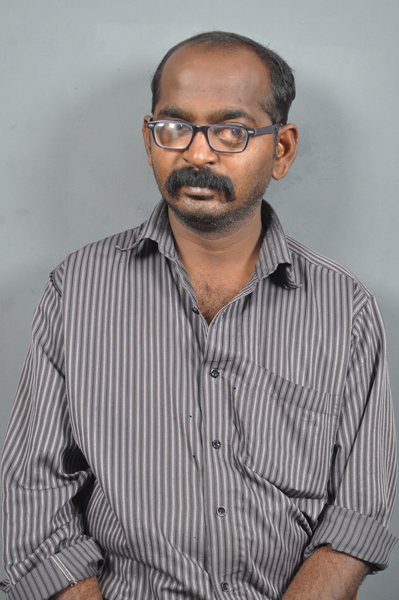 K Ramalakshmaiah, 33, is from Jangamaheshwara padu in Durgi mandal of Guntur district. He migrated to Hyderabad in search of a livelihood, and was running an internet centre with a partner when tragedy struck on June 8, 2010. His bike skidded, and he suffered retinal detachment as a result of the accident, losing sight in both his eyes. 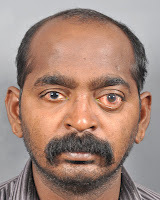 Ramalakshmaiah recalls the horror of having his “eye ball nearly come off,” and of experiencing sheer darkness all around. When he sought treatment at LVPEI, Dr Raja Narayanan operated upon him promptly. From the condition of total blindness 3 years ago, he has now progressed to travelling alone to LVPEI from his home, a distance of about 15 km. He is full of gratitude for Dr Narayanan who has helped him see again, and for LVPEI staff Ramu and Ghouse who had helped him have his food and carry out other routine activities during his treatment here. He narrates with wonder how his retina was re-attached and oil injected into his eye. Dr Narayanan explains that heavy liquid perfluoro carbon, used in cases of retinal detachment, was injected before the operation. It is generally removed immediately after surgery but was left in the patient’s eye for 3 weeks in this case. Silicon oil was introduced later, which is still there in the patient’s eye. 20/100 vision could be restored in his right eye that had open globe injury, but his left eye remains blind because of the blunt trauma it suffered in the accident. Pseudophakia was done in both eyes, where the natural lens in the eye was replaced with an intraocular lens. In the doctor’s words, considering the bad condition, most other hospitals would probably have given up on the case. But since vision was lost in both the eyes, the operation was performed. The doctor is quite happy that from a case of no vision, the patient has improved to being mobile and self dependent.